Just about every camper lugs a cooler around filled with ice to keep the food cold and fresh. In fact, it’s so common that you might think it’s impossible to go camping without one. 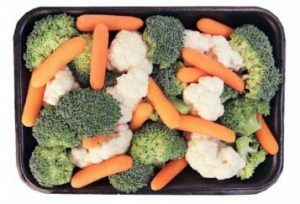 While a cooler does make it easy to keep your food from spoiling, there are plenty of other food options that you can choose that don’t require refrigeration or a cooler. For long camping trips, you will want a combination of foods that do and don’t require any refrigeration. In this way, you will only have to use a cooler or two to get you through the long trip. Just because you’re planning a camping trip doesn’t mean you have to pack a heavy load. If you’re only staying for a few days and want to spend more time having a great time and less time cooking and cleaning, then packing a bunch of meals that don’t require refrigeration is the way to go. Some campers like to move to multiple camping sites and enjoy different areas of the wilderness. This would be a case in which you wouldn’t want to lug around any heavy coolers that will just slow you down and certainly get in the way. Non-refrigerated foods will be the best choice for these particular trips. 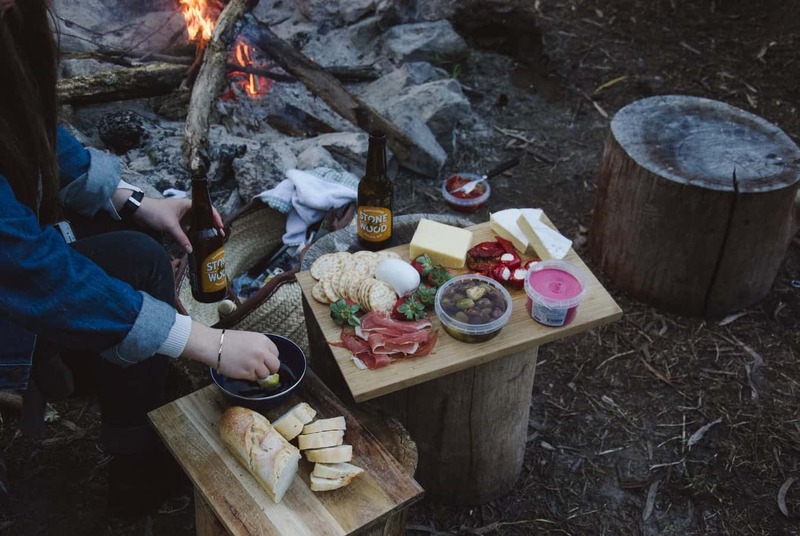 Our list of foods you can bring on your camping trip that won’t require refrigeration are broken down into sections so that you can navigate our list easily. The first section are foods that are packaged and will only require water or other minimal ingredients to cook. The second section is a list of foods that you can make beforehand and pack. The final second lists single ingredients that you can combine in countless ways to cook on your own. Some recipes using these ingredients are featured afterwards. 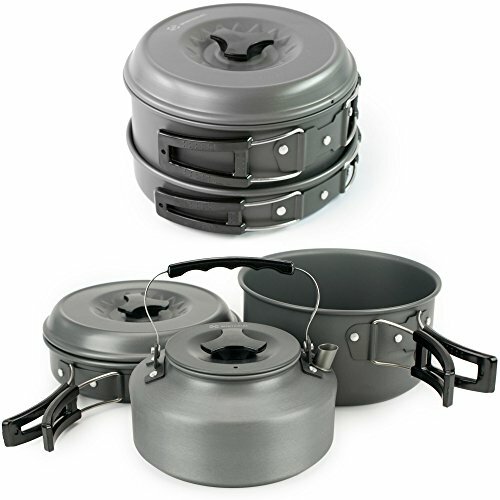 We received high praise for this camping cooking set so we had to try it for ourselves. Well, they were not lying! 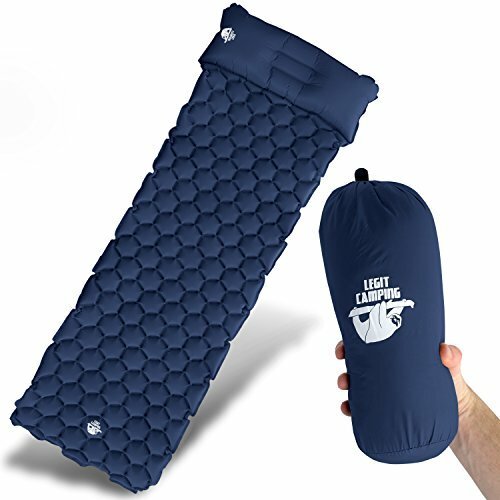 Not only are these compact and great for camping, but they are built with very sturdy construction that will last and everything you need is included in this set. 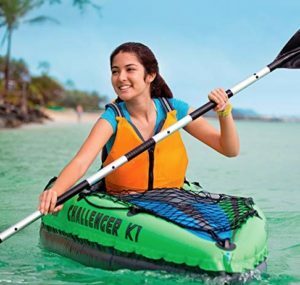 LIGHTWEIGHT: Only 1.5lbs, this set is perfect for any backpacking adventure. COMPACT with CARRYING BAG: All of the pieces are stored together and extremely portable in their convenient carry. NON-STICK: Each piece has a non-stick teflon coating for easy cleaning and durability. We’re gonna start with the basics and most important foods you can bring to a camping trip, and that is cookies. 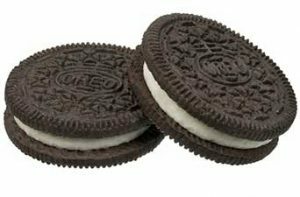 From Oreos to Chips Ahoy to Keebler Fudge Stripes, you can’t go wrong with a package of your favorite cookies to snack on throughout the day. While we’re on the subject of sweet, you can’t forget your s’mores when you go camping. 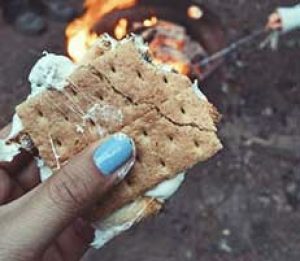 Marshmallows, chocolate bars, and graham crackers are one of the essentials when it comes to camping food ideas and you won’t need to refrigerate any of them. Just remember to keep your chocolate out of direct sunlight so you don’t open the package to an already gooey mess. 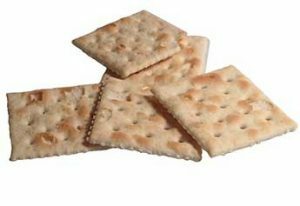 Combat all the sweets with some savory crackers. Salty crackers seem to always sound good when you’re spending the day doing physical activities. It might be the carbohydrates mixed with some sodium to help you retain some water, or just the fact that they’re plain delicious. 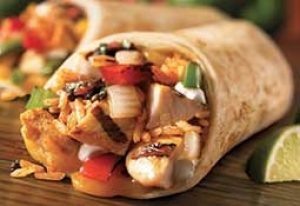 We promise we’ll get to some healthier options later on but for now the theme is quick and easy packaged foods that require no cooking. 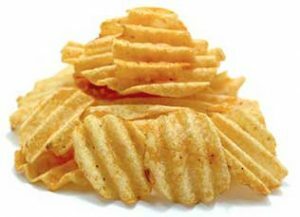 Potato chips are an important food group in that regard and shouldn’t be ignored. Pringles tend to be a great option for camping because their hard, cylindrical containers protect the chips from becoming a smashed mess. 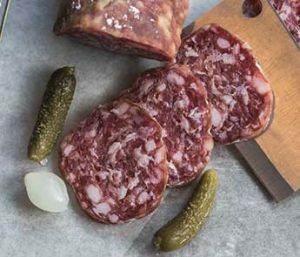 Certain hard, cured meats can be kept out without spoiling like pepperoni and salami. Not all forms of these meats are safe to be kept without refrigeration for long periods so be sure to bring the right kind. If you are unsure, just find a cured meat that is sold without refrigeration. 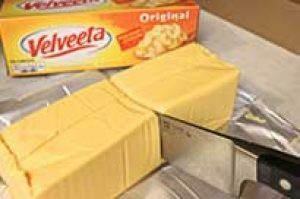 Add some cheese whiz or Velveeta cheese substitutes that are also sold at room temperature, so you know it is okay to keep out. These products make a great addition to your crackers, chips, and sandwiches. With your cured meats and cheese whiz, you’re just about there to a decent sandwich. Bring along some bread and get creative. The busier your day (or possibly, the more you’ve had to drink) the more delicious your concoction will be. 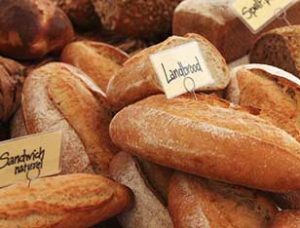 Tip: Pack your bread in plastic food containers so your load doesn’t crush all your bread down. Bagels may be considered a type of bread but we decided to count it as it’s own type of food for this list. 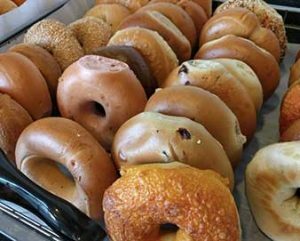 Bagels are packed with carbohydrates and protein to keep you energized and productive. They are also harder to crush down so if you have a lot to pack and your space is limited and tight, go with the bagels. 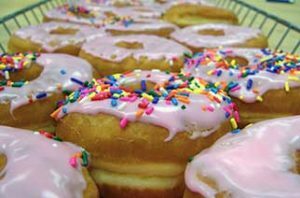 Back to the most important food group of desserts and doughnuts can’t be overlooked. Great for both breakfast, lunch, dinner, or funnily enough, dessert! Bring some cake if you’re celebrating. Even some stale cake on the third day of camping is better than no cake. 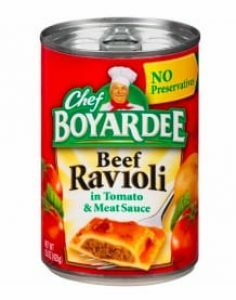 Raviolis to spaghetti and meatballs all taste better when warmed, but will do in a jiff if you need a quick, nourishing meal. Heating up these products take no time and require nothing but a source of heat. 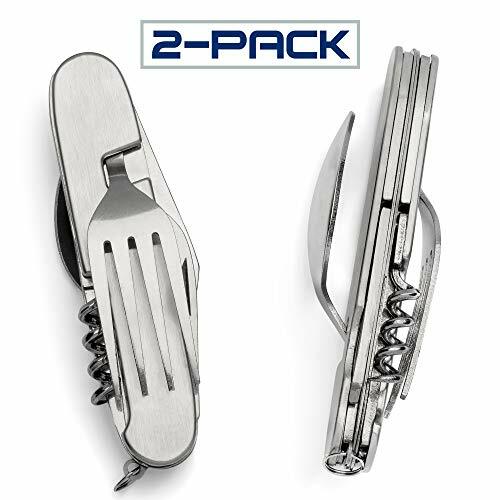 2 Pack Stainless Steel multi-function 6 in 1 tool includes a full size fork, full size spoon, knife, wine opener, bottle opener and can opener . This eating utensil set is lightweight great for boating, camping, backpacking, hiking, survival, and fishing. Its separating design allows you to use fork and spoon separate from each other, much better than using flimsy plastic cutlery. The stainless steel makes it easy to clean, strong, durable for years to come. 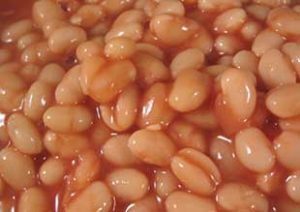 One of the campfire classics that every trip is legally required to bring: the baked beans. 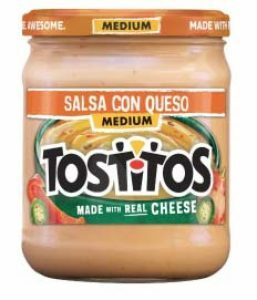 Savory and sweet with a touch of smokiness from the campfire heat make this an absolute must-have for all camping trips. Chicken noodle soup in a can was made for the unexpected cold nights under the stars. You can eat this cold out of the can too but please don’t. 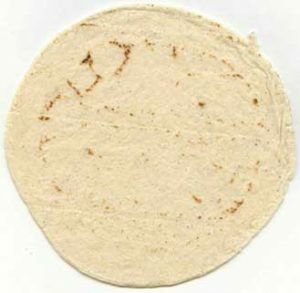 Soft flour or corn tortillas are a good substitute for bread that, like the bagel, is less likely to be ruined from overpacking. You can even eat them warmed up on a cast iron skillet with some cheese and salsa for a quick snack. 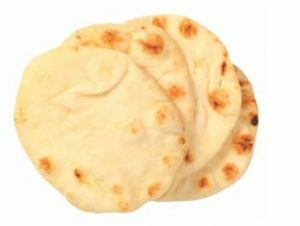 Naan is like a flour tortilla but the Middle Eastern/Southern Asian version. If you’ve never had it before, it’s an oven-baked flatbread and is delicious when warmed up with some olive oil. Rice takes a small amount of preparation but is very versatile and can make a whole lot of different dishes. 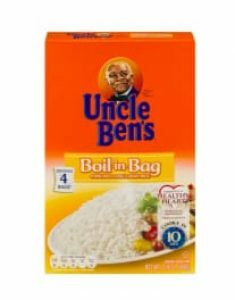 You can choose to bring the minute rice or the boil-in-bag kind to make it easier to cook. 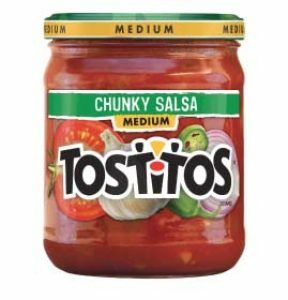 At your grocery store you’ll find some salsas that are stored in room temperature and some stored in the refrigerated section. Find the non-refrigerated salsas and bring those along. 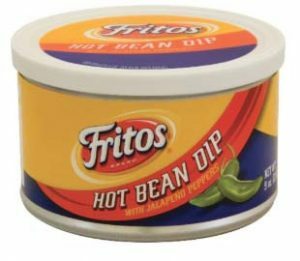 They make a great addition to warmed tortillas or pack some tortilla chips to pair with. Just another addition to your chips combination or pour some over your burgers on the grill and avoid having to pack any American slices in the cooler. Watching your figure even during your camping trips? 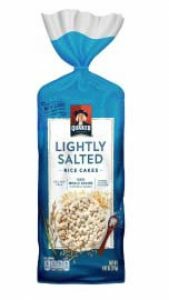 Rice cakes are filling and delicious, making this a guiltless snack for your trip. 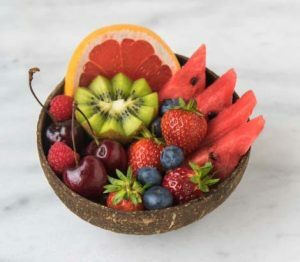 Fruit is usually part of every camper’s food ideas and with good reason, it is easy, portable, and requires little to no care. Fruit is a great source of energy that is packed with vitamins. Bananas, apples, and oranges are the easiest to pack but watermelons and kiwis are some of our favorites. Carrots and bell peppers can last for quite some time at room temperature and can make for a healthy option when all those cookies and potato chips start to become a little overwhelming. Sometimes, you just need to snack on some healthy foods! 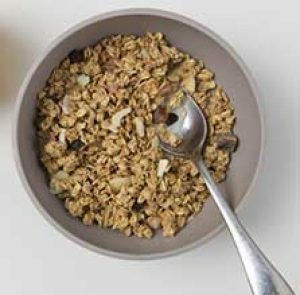 Granola bars offer a filling snack that usually has a decent amount of protein and fiber to keep you full. 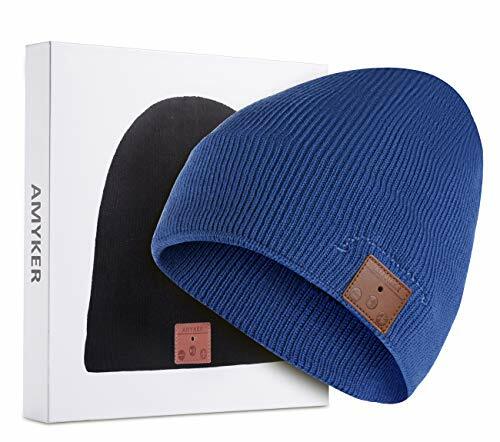 These are great to bring along on your hikes or any other activities where you get mobile. 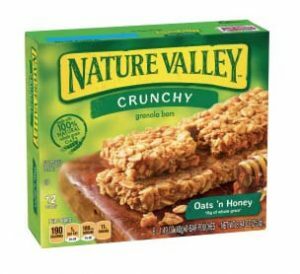 Much like the granola bar, protein bars are a great food item to bring for activities. Protein bars tend to be more filling than granola bars so these would be a good option to bring along for activities that take longer and require more energy. 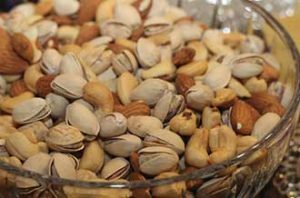 Mixed nuts, peanuts, cashews, almonds, and pistachios can be considered the original snack for nature hikes and camping trips. These provide energy and have a decent amount of healthy fats and fiber to keep you satiated. 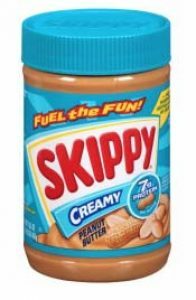 Peanut butter on bread, bagels, crackers, or right out of the jar will make for a delicious snack at any time of the day. Kids love it so if you are bringing any children, don’t forget the peanut butter. Jelly is going to be listed as it’s own food item because it is so much more versatile than your ordinary peanut butter and jelly sandwiches. Yes they are delicious, but you can also add your jelly to toast or try them on crackers. 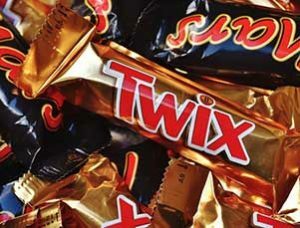 Chocolate bars and other candies are delicious but can also provide a very quick form of energy if you are feeling sluggish and need a boost. The sugars will provide a short burst of energy that isn’t sustainable BUT can still be useful when you need it. 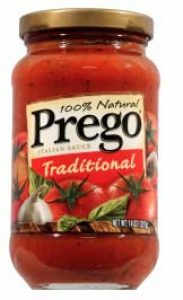 A jar of tomato sauce can be used for spaghetti and pepperonis or you can make a campfire pizza with a cast iron skillet and some Naan for the crust topped with pizza sauce, cheese (or cheese substitute), and pepperonis. Now this isn’t the recipe for a gourmet slice but after a long day of camping, this pizza will compete with some of the best pies in New York. You can’t make pasta without the pasta noodles. 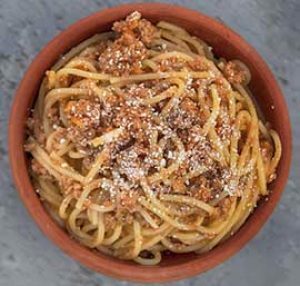 All you need is a pot, some water, and a source of heat to make some satisfying pasta that keeps you full and makes for some good homestyle cooking. 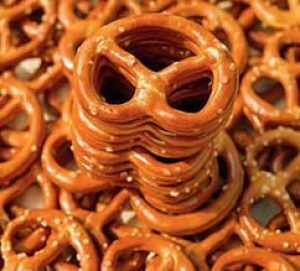 While you can find this in the potato chip aisle at the grocery store, the pretzels are so much more. They are a healthier option with zero fat calories in most brands, and can be a great complement to soup, sandwiches, or peanut butter. Jerky is another source of meat that can be kept out at room temperature. Pack plenty of jerky to keep you busy during your hikes and fishing trips. We usually end up eating all our jerky on the car ride to the campsite. 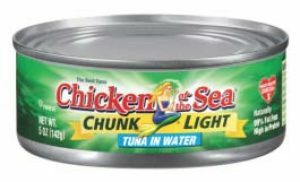 Canned tuna or shredded chicken can be stored for long periods, both cold and at room temperature. Make some hearty sandwiches or add them to your pasta dishes as another meat option for your camping meals. Another easy cooking option that just requires a pot and boiling water. Ramen noodles are quick, taste decently good, and are also a cheap food idea that can be very versatile. 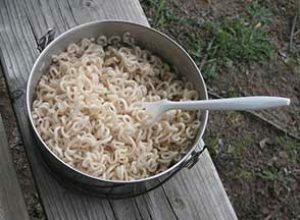 Add canned meats or splash some hot sauce to give your ramen noodles some much-needed flavor on your camping trip. 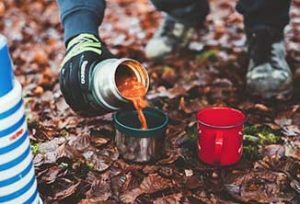 Add some unique flavors to your dishes using hot sauce and soy sauce to liven up your camping meals. These are two things that should be included in all camping trips. 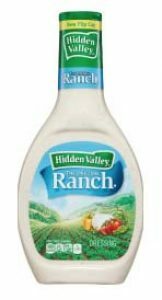 Salad dressing should be refrigerated after opening, but there are certain brands that carry ranch and other dressings that aren’t required to do so. There are also individual packets of ranch you can bring with you that are for single use. Put some honey in your oatmeal, peanut butter sandwich, or your cup of tea. 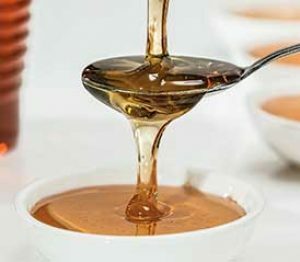 Honey is well known for it’s properties of never spoiling so be sure to have some on hand. Wasabi peas are an addicting snack that has a bit of a kick thanks to the wasabi coating. 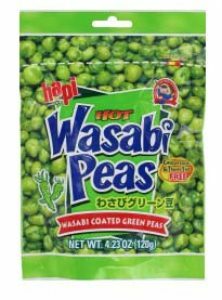 The peas are fried or baked and provide a crunchy texture that is so satisfying to eat but be careful, the wasabi heat will hit you in waves. 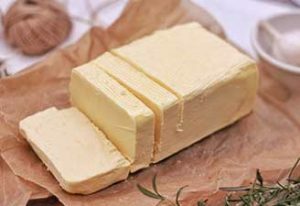 Butter made be sold in the refrigerated section but will be okay if left out without spoiling. 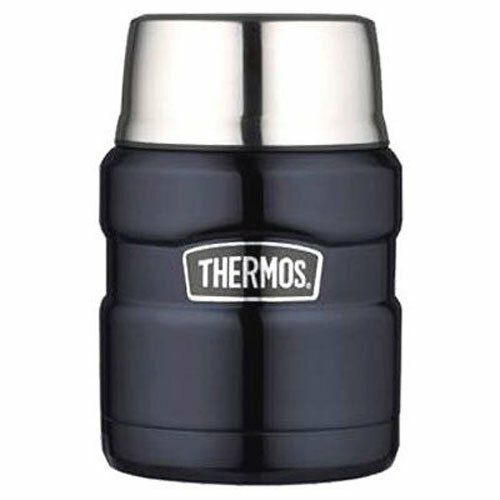 With that said, don’t leave this out in an area that is too hot, especially in direct sunlight, or you’ll end up with a puddle of melted butter. Potatoes are one of those foods that aren’t sold or stored in the cold yet campers constantly overlook. 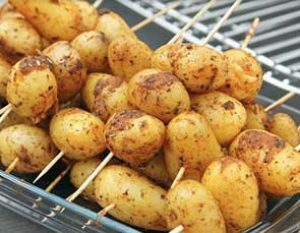 You can cut up your potatoes and grill them in your cast iron skillet, boil them and mash them down for some quick and easy mashed potatoes, or wrap them in foil and throw them near the fire for some fantastic, campfire baked potatoes. 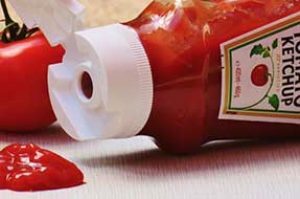 You’re going to need ketchup or mustard for many of the campfire meals you cook. Bringing a bottle of each is great but you can also grab a whole bunch of packets from your favorite fast food joint on the way if you forgot to pack them. 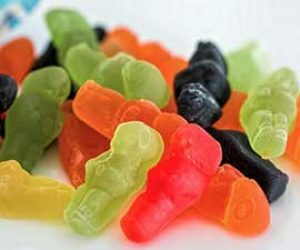 Fruit snacks are a good option to satisfy the sweet tooth and also perfect if you’re bringing the toddlers along. If you’re bringing pancake mix, find the kind that only requires water. 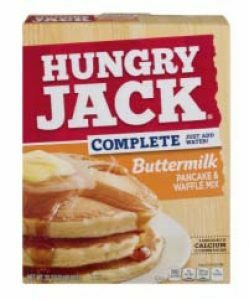 These pancake mixes will taste just as good and are much easier than adding milk, eggs, and oil that you will have to pack with you. 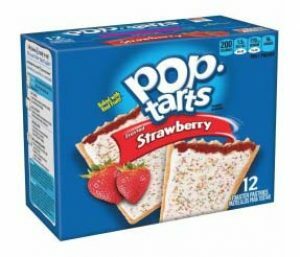 Pop Tarts are a fantastic snack or can serve as a quick breakfast if you’re in a hurry. Eat them cold or warm them up over the fire on a skillet. They get hot quick so keep an eye on them. 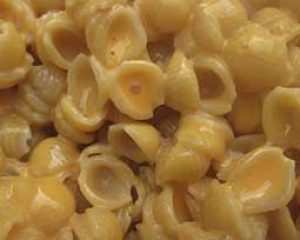 There are certain brands of macaroni and cheese where you only need to add hot water and the package provides the rest. Look for these brands if you are packing light. If you’re planning a longer camping trip or the climate is a bit unstable, fresh fruit may spoil too quickly. 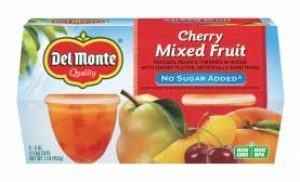 Choose canned fruits or fruit cups to keep them fresh until you’re ready to eat. 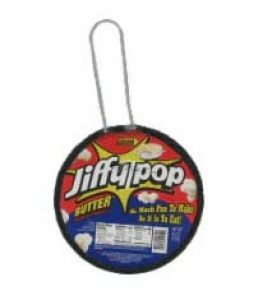 Make some popcorn at night while telling spooky stories over the campfire with stove top popcorn that you can pop directly over the open fire. 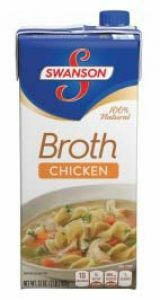 Chicken or beef broth and stock can be a great substitute for camping meal ideas that require water. Use these instead to add some extra flavor to your camping dishes. 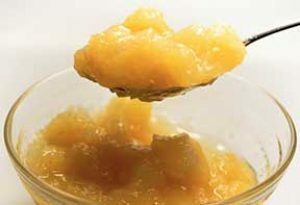 You may have not had applesauce since you were a kid but that doesn’t mean you have to turn away this easy-to-pack item for your next camping trip. 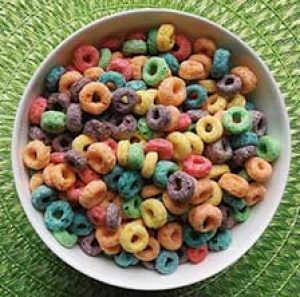 Sometimes you want cereal and even though you may not have milk handy (if you’re going without a cooler), you can still toss a handful in your mouth and crunch away. 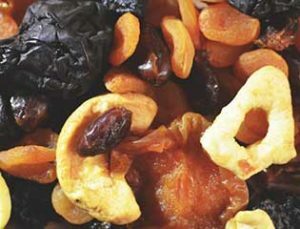 Dried fruits taste delicious and there’s something about eating dehydrated apples and peaches that pair so nicely with a walk through the wilderness. It just feels right. 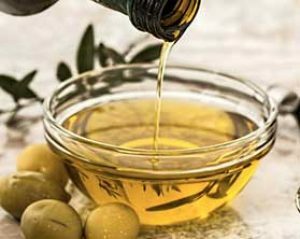 Don’t forget to bring your cooking oils to keep your food tasting delicious and to keep that cast iron skillet nice and seasoned. Olive oil and potatoes in a cast iron skillet is as good as it gets when cooking over a campfire. 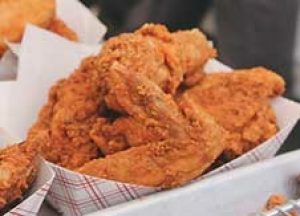 This is an absolute favorite when we go camping and frankly, you can eat fried chicken cold and it somehow tastes just as good! Bring some fried chicken and eat it within the first day or two and you’ll be glad you did. Bake some muffins beforehand and pack them in plastic food containers. 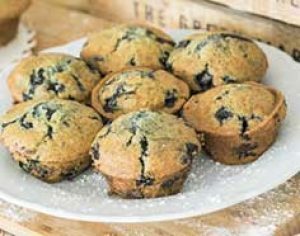 These are a hit in the morning and you can even warm them up over the campfire for a delicious breakfast snack. Same concept as the muffins here and you can warm them up over the campfire in the same way. Banana bread is also filling so you can spend less time eating and more time hanging out with your family and friends. Make some burritos and pack them in food containers or plastic zip bags. These are fantastic and can be warmed up in the cast iron skillet over an open fire. Make sure to eat them within the first day or two so that the ingredients don’t spoil. 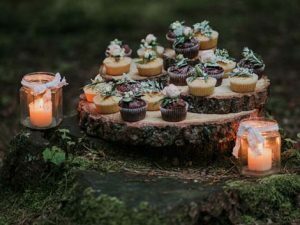 While our list of camping food ideas with no refrigeration has just about everything you could need, it is hardly complete and there are plenty of other great ideas that can make this list even better. Next time you’re at the grocery store, find foods in your regular food aisles that aren’t in the cold section and see which items you can bring to your next trip. Thanks, we’ll look into that! 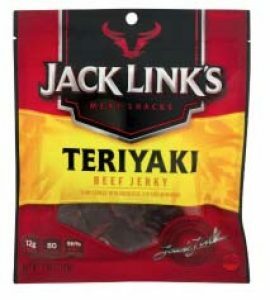 I love jerky! It’s my go-to camping food (though not everyone’s a fan of it). There are also some dehydrated meals that are quite good but I’m not really a huge fan of it. 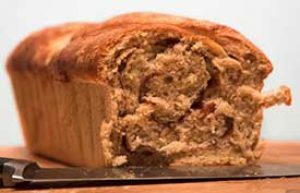 This is a great food recipe, thank you for sharing it with us. Hi, This is a fantastic quick recipe, thank you for the detailed recipe for the awesome blog post. Hello, This is a great recipe, thank you for sharing it with us. I am a food lover and We enjoy baking bread and butter pudding. fast. There is a tool that generates articles like human.